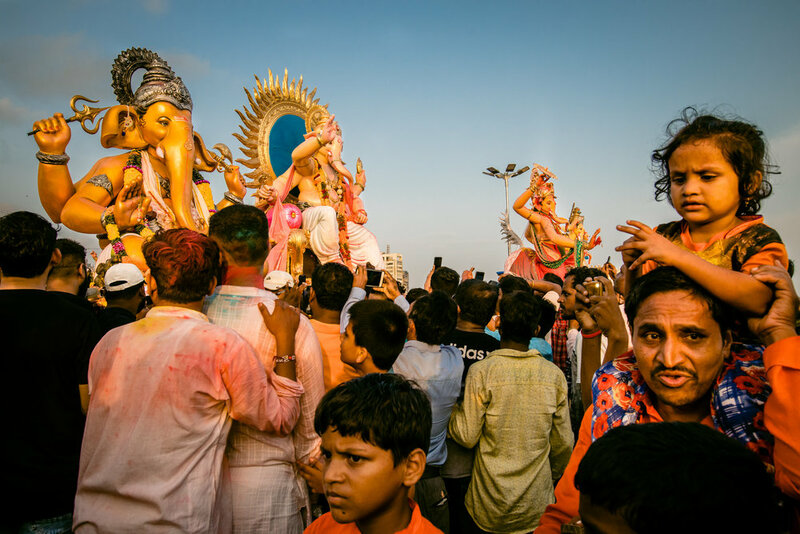 Ganpati, the Elephant God has his own festival in India. 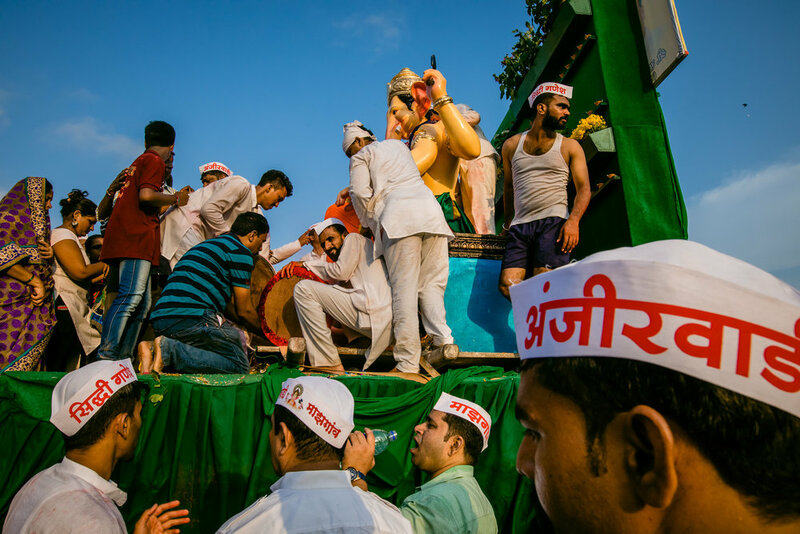 The festival was founded by Lokmanya Tilak, and is primarily celebrated across Maharashtra. Mumbai is the most populous city in Maharashtra & celebrates the Ganesha festival with a special fervour. These are few documentary style pictures of the festival - most from the last day i.e. the Ganpati Visarjan (or immersion), when devotees say goodbye to the deity by immersing him in the water.